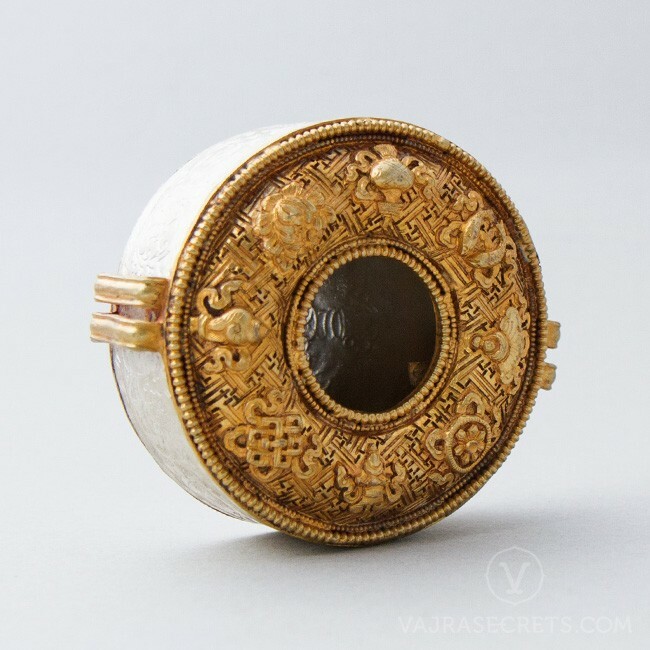 A circular Tibetan gau or prayer box, handcrafted from white metal and gold-plated by master Himalayan craftsmen. 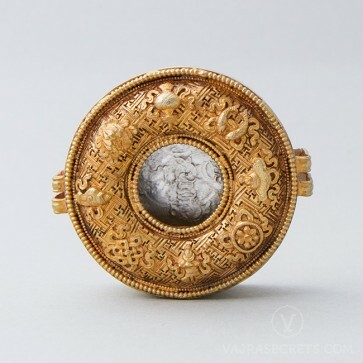 Richly carved with the eight auspicious signs, this large fitted-back gau can be filled with small statues, tsa tsas, deity images, holy items or blessed objects, and used as a portable shrine or protective talisman. This circular Tibetan gau is handcrafted from white metal and gold-plated by master Himalayan craftsmen. Richly carved with the eight auspicious signs and other traditional motifs, this gau also features a window that allows the items contained within to be viewed. 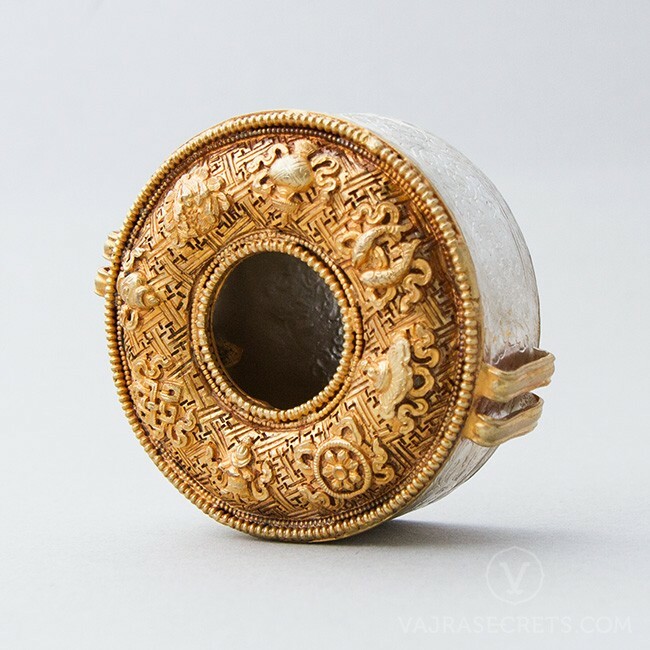 This large fitted-back gau can be filled with small statues, tsa tsas, deity images, holy items or blessed objects, and used as a portable shrine, protective talisman or placed on your altar.